Walter Gloshinski is a man on a mission. A pizza mission. He makes great pizza. He is a standout Legends of Pizza in the making. 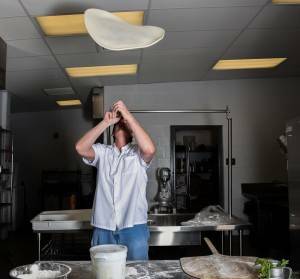 He is a Special Education Teacher, who has taken his students and pizza making to the next level. He is moving his pizza operation from Ohio to Reno, Nevada. The new pizzeria Smiling Hope with Pizza will be his pizza dream come true! He is also a unique musician AKA: Walter Tore. He plays and sings music as a sort of one man band. He created a unique musical style called: Spontobeat. That’s another part of the story covered in the following piece. To say he is unusual describes all of the pizzaiolo I have ever met. The following interview is Walter’s story in his own words. Enjoy! memories that stick in your head about pizza? Walter: My strongest memories are of eating hot, delicious, pies, that I could never get enough of and also watching the old men make the pies. These memories cemented a love of pizza and a drive to make a world-class pie. Walter: Growing up in the Newark NJ area our food culture was a strong one and pizzerias were everywhere. You had to really search to find a bad pizza back then (60-70’s). My favorites were Star Tavern in Orange NJ, Tino’s in Ortley Beach NJ, and Afredo’s in South Orange NJ. Sadly Tino’s and Alfredo’s are long gone. Alfredo was a recent immigrant from Italy and ran a small 1 man show pizzeria around the corner from our house. When he opened I checked it out and that turned into me hanging out there as much as I could. He put me to work (no pay) and taught me much about pizza and the Italian approach to food and life. Albert: How did you get started in making pizza? Walter: I began making pizza as a child. My grandmother came from Italy and made a grandma pie in the oven. This ignited a pizza passion while I was still in my mother’s womb. My uncle Albert owned a sheet metal shop and made the pans. I wish they were still around but my grandparents never owned a home and as they declined in health most of their possessions got lost. My mother was raised as if she never left Italy and continues that approach to food today even at 87 years of age. Albert: What got you interested in making pizza? Walter :Between my family and the pizza culture that surrounded my childhood I couldn’t help but get excited about everything pizza. Albert: How different were your early pizzas from the pizza you are making today? Walter: My early pizzas were with my family and Alfredo and they were top shelf. My home pizza making once I left home to pursue music was sporadic at best. I never had my own apt or house until I was in my mid 20’s. I lived wherever I could with my music as my focus and rarely cooked unless I was working in a food establishment. Working with someone else’s home oven, cheap ingredients, and doing most everything by eye with a same day dough, resulted in usually nothing to write home about. Now I have my own workspace, use a multi-day dough, more exact measurements, great ovens, top-shelf ingredients from here and Italy, has led to making good pies. Walter: I became a special education teacher in 1994 after I felt a calling to work with people with disabilities. That meant I had to go to college, which scared me to death because up to that point in my life I was a musician and never applied myself as a student in the public schools. I worked part time day jobs most of my 20 years as a musician and often they involved jobs with dough. I traveled the country doing my music but never found a pizzeria outside of my childhood haunts that inspired me enough to want to work there. I spent most of my paid dough days in small family bakeries and most had deck ovens. I would make pizzas for myself during the off hours when I was alone in the space- would often work after gigs from 3am – noon. I got my first teaching job at 35 years of age and had experienced how hard the world can be to make a living for a person with only a high school diploma. I was shocked to see special education students being taught year after year the same useless to our society abstract academics, seated at desks with paper and pencil. The problem was these students were teenagers and their academic skills were at the lower elementary level. My classroom was an old home economics room and I immediately knew they would never find a job with such academic skills and began baking things with them that we sold during the school break/lunch and with the profits we would buy things they enjoyed. I was always able to secure an abandoned home economics room everywhere I taught and took that as a sign to keep training with functional academics and prepare them with skills that would help find jobs upon graduation. My students had horrendous backgrounds with violence and anger but immediately were more excited about school and felt hope when they discovered there was something they could do in our society that would be appreciated via our selling our cooked products. I put all my energy into expanding on this way of teaching. When I hit a dead end I quit and moved blindly in search of somewhere where I could teach a bakery/pizzeria approach for building skills that would lead to maximum independence and work as adults. That led to stints in California, Texas, and most recently Ohio. My biggest takeaways from 23 years of teaching are first, teaching special needs children that will never compete for academic based jobs in our society the functional/vocational skills needed to be independent and employed is a no brainer and has proven to be a success. Second the community genuinely supports such programs financially, emotionally, and felt what I do important enough to give the program community awards, media coverage, and financial support. Last, and most frustrating/confusing to me has been the public school system. They have been a flip flop experience with wanting me to do what I do and at the same time wishing I would go away. They want me to do what I do without upsetting/confronting the continually unsuccessful abstract academic models of teaching children with disabilities that they do year after year that results in ongoing frustrations/behavioral problems, hopelessness for the students. My approach upsets the apple cart and has resulted in continual battles with the schools to keep my program alive while at the same time the community heralds it as a wonderful thing. Most people are shocked to hear about my continual struggles because what we do has been a proven success with providing students with the skills to find employment after high school. Walter: If they are going to make a couple pizzas a week then all will most likely sit well with the administrators but if they want to create a self-sustaining working business I say go for it only if they are willing to fight the public school administration every day. I hate to say that but it is true. Albert: What is your personal style of pizza making Neapolitan? New York? or something else? Walter: NY style with my own little twist. Albert: Where does your pizza passion come from? 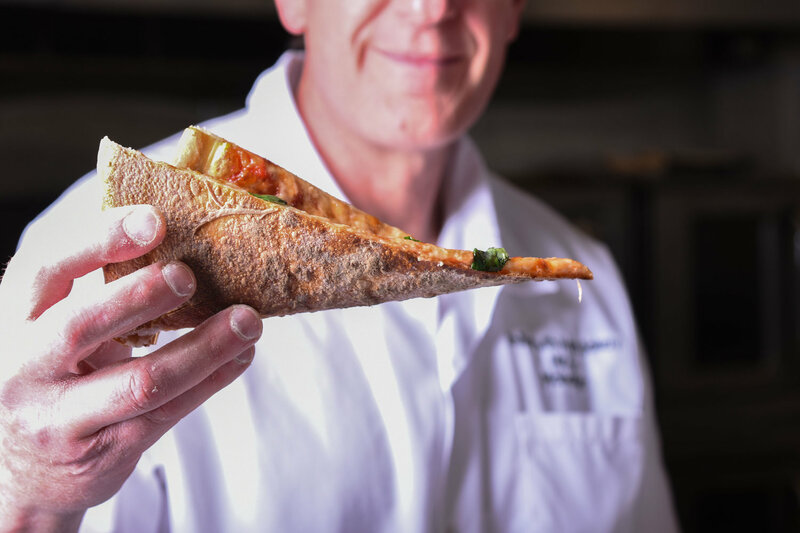 Walter: Being born into a family that brought it from Italy to my stomach, growing up in ground zero for NY style pizza, and enjoying serving people good food. Deck Oven in pizza. Also since you are doing some research and interviews about Mastro Pizza in New York…Can you give us some updates about the project? Walter: It is interesting that I am now involved with a team of people – Norma Knepp of Norma’s Pizzeria and Scott Wiener of Scott’s NYC Pizza Tours which is documenting the Mastro Pizza story. I ate at the Mastro Pizza Pavilion at the 1964-64 Worlds Fair. 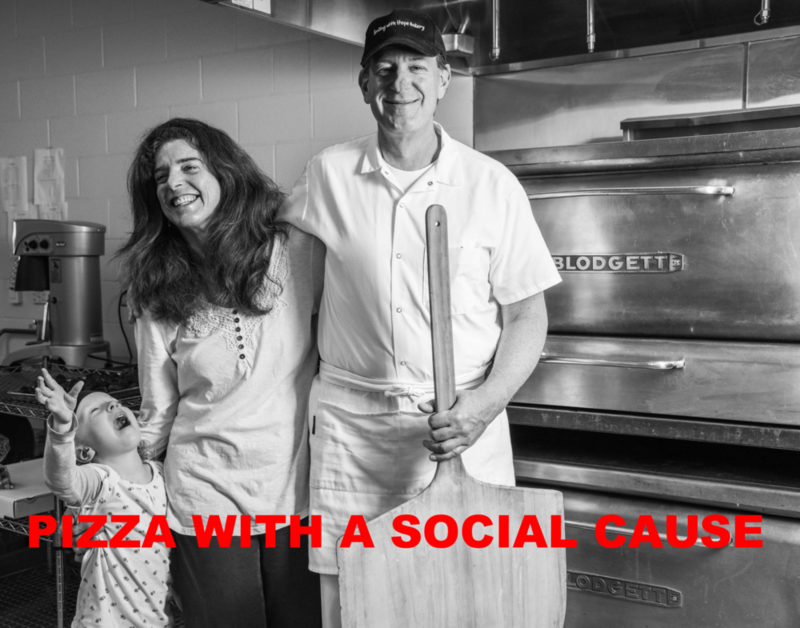 My part is I interview Madeline Mastro, the 89 year old daughter of Frank, the founder of the Mastro Pizza empire, and other family members, via phone recordings and send them on to Norma and Scott. Frank Mastro invented the gas deck oven, pizza as we know it today, and more things than I can list that are common items to pizza today. We hope to get an article done that will clear up the smoke and mirrors that surrounds the history of NYC deck oven pizza. It is also interesting I use 2-original Blodgett 1000 ovens that were Frank Mastro’s last and best design. apart from every other pizza place in Reno? Walter: The draw to Reno comes from my wife. She is from the Bay area and she wanted to move back west. Reno was as close as we could get and afford to buy a house and Judy lived there for a few years before we met and loved the high desert. I like it too and figured since she blindly followed my musical/teaching traveling shoes around the USA, Europe, for 20 years, it is her turn to pick where we go next. I have lived in most types of geography but never the high desert and would like to try it. We did no research. We travel when our feet tell us too and let them tell us which direction to go. Walter: We have a couple friends from California that retired to Reno and love it. We visited often while living in CA and saw the influx of Californians increasing with each visit. Most are from the Bay area and Los Angeles, and they bring a demanding food palate with them. This excited me and I couldn’t find a NY style pizzeria that reminded me of the NY pizza I grew up with so I figure we should have a good shot at success. 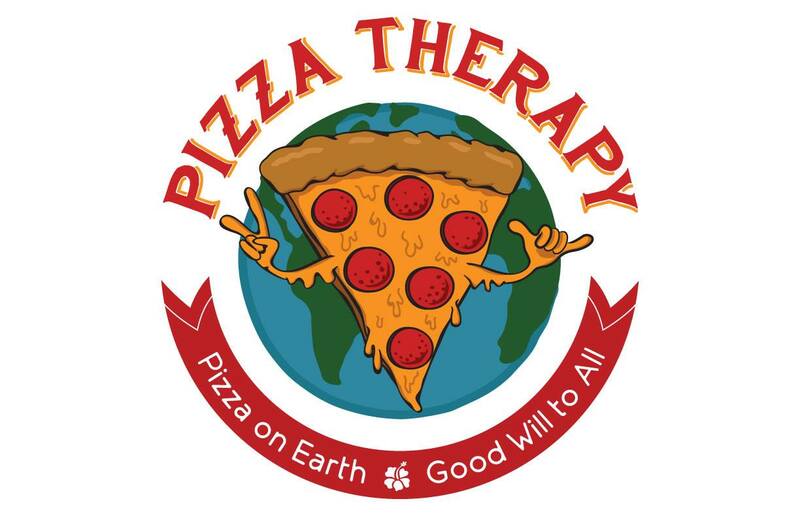 What will set our pizzeria apart from others in the Reno area will be using the pizzeria to train/employ people with disabilities. My special education background made it easy to connect with various agencies that serve people with disabilities and we have already set up a partnership via phone, email, and a cemented it with a visit to Reno this past summer. I also hope the quality of our pizzas will be appreciated. Albert: You are opening a brand new pizzeria…Can you tell me a bit about it? What will be your specialties? What kind of pizza will be on the menu? Will there be other items on the menu? Walter: We were lucky to find a former pizzeria to rent. We are on a very small budget and don’t have the money to invest in getting a space pizza ready. This can run into the hundreds of thousands of dollars. The space will need some cleaning/painting and some equipment. My 1960’s Blodgett 1000 deck ovens hopefully will adapt to the 4,500 altitude without having the gas to air mixture messed with. We are also allowed to set our own hours/days of operation which is becoming hard to find as our society goes to malls/centers that house franchise food operations that must stay open 10-12 hours a day 7 days a week. Those hours are not possible for the mom/pop artisan shop we run. We will be serving world class NY style thin crust, Sicilian, calzones, cannoli’s, salad, pepperoni rolls, garlic knots. Our ingredients are fresh/locally sourced when possible, and many are imported from Italy. Everything is made the old way like I learned including house made sausage from my grandfather’s recipe he brought here from Italy at the turn of the century. Albert: What is the name, address and phone number of the pizzeria? Walter: We should be open by Dec. 1st. Walter: We have an outdoor patio at the pizzeria and my longtime drummer lives in Reno so most likely once things settle into a groove I will be performing at the pizzeria. I live spontaneously and always will. It is a constant adventure allowing oneself to let the universe guide you. I have my doubting days for sure but the faith never leaves for long to follow my heart. Albert: How can people buy your music? Do you tour? Walter: Recording so many CDs a year makes it a lot easier selling individual songs on my website. I haven’t toured in about 10 years. I never have gotten with the internet/social media way of doing music today plus most of the people I knew in the business are dead or we have lost touch since I went into teaching. There is so much information on the web today young people don’t have the time like my generation did to look back to the past. I learned from the blues greats by searching them out. There was only a few channels on TV, records were still the norm, no cell phones, no net. around…will you sell your CD’s in your pizzeria? Walter: That is something I never thought about. Maybe once I play a few shows and people realize I am a musician we might be able to sell a few. My music is not for the faint of heart. Most of it is about social injustice, dysfunction, addiction, and loneliness. It is my therapy and refreshes me to face the world another day. I realize now most people don’t think of music as I do..
Albert: Are you still performing? Walter: In my studio all the greatest vibes I experienced playing around the world come in every time I sit down to play. I walk into my songs much like Gumby and Pokey the Claymation characters walked into books and landed in the story in real time 3D. So in that sense I still perform and perform more than I did when I was playing in actual venues. Smiling With Hope Pizza off the ground. these questions. you are adding much to pizza lovers everywhere! I hope I can someday get to Reno to have a pizza and once again hear some live spontobeat!!!! I’m with you on that Sarge. I can’t wait to have one of their fabulous stories! And if we are lucky, I’ll hear some music as well.